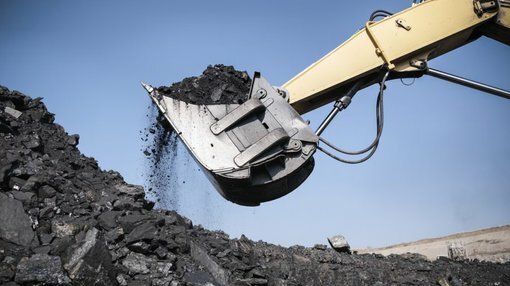 Since Acacia Coal (ASX: AJC) advised that it had entered into an agreement to acquire a 74% stake in the South African Riversdale Anthracite Colliery (RAC) in October 2016, the company’s shares have consistently traded at par or at a premium to the price when the proposed transaction was announced. Anthracite is a form of premium metallurgical coal sought after by ferrochrome manufacturers due to its extremely low contaminants. 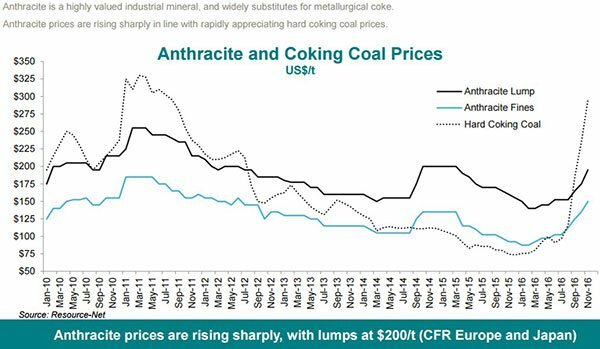 In terms of pricing, over the last eight years lump anthracite has typically traded at a premium to hard coking coal. Anthracite fines have traded broadly in line with hard coking coal over the last five years. RAC has the capacity to produce both lump and fine anthracite, and there is the potential for strong demand from South African based manufacturers. In fact, AJC already has potential offtake arrangements as non-binding memorandums of understanding with these to convert to agreements as feasibility studies, metallurgical test work and greater geological certainty are realised. The following shows historical pricing trends between hard coking coal and anthracite lump and fine products. Of course commodity prices do fluctuate and caution should be applied to any investment decision here and not be based on spot prices alone. Seek professional financial advice before choosing to invest. As can be seen from the graph and associated headline, there was a short lived spike in hard coking coal that occurred in late 2016/early 2017, however it is more important to focus on the patterns that have been apparent over the last eight years, with key features being the outperformance of anthracite lump against hard coking coal, which normally fetches the highest price of all conventional metallurgical coals. Also, it is evident that there isn’t a great disparity between anthracite fines and the hard coking coal price over the last five years. The spike in the hard coking coal price that rolled into the first quarter of 2017 is evident in the following table, as is the significant retracement in the subsequent quarter. As indicated, Macquarie is expecting an average 2017 calendar year price of US$188 per tonne for 2017, decreasing to US$128 per tonne in calendar year 2018, and then settling around the US$135 per tonne mark out to 2022. These pricing projections are important to bear in mind because the broker modelling and forecasts that we discuss at a later stage use a long-term price of US$135 per tonne for anthracite lump product anticipated to be produced at RAC from 2018-19 at least out to 2029-30. 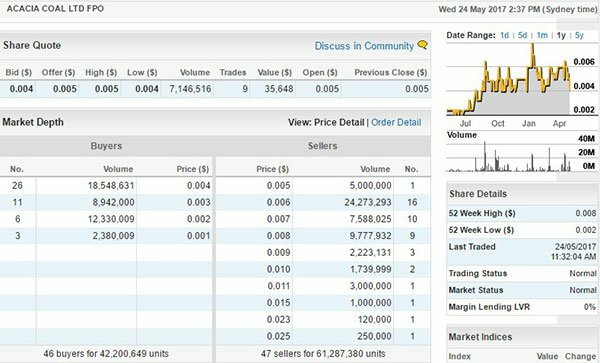 There was a significant uptick in AJC’s share price at the start of February when the company released the JORC 2012 maiden resource statement for RAC with the company’s shares doubling to a 12 month high. This momentum was maintained with further positive developments including the completion of a prefeasibility study in May. The PFS was supported by an updated resource statement which featured 10 million tonnes of high quality, low sulphur and low phosphorus anthracite in measured, indicated and inferred categories. Importantly, 86% of the resource is reported in the measured and indicated category, making it available for conversion to ore reserves. A story within the story can be found in AJC’s recent trading trends. AJC’s shares have traded in an unusual fashion in the last month, with strong buying supporting intraday highs and one-off small-volume selling creating a dip at certain parts of the day. Creating the perception that a company’s share price is weakening is a common day trader tactic, and it would seem that the recent perceived weakness in AJC’s share price could be a strategy being employed to enter the stock at a slightly lower price. This is how AJC traded on Wednesday, May 24. More than 7 million shares were acquired at .005 cents per share between 10 AM and 11 AM. However, a line of 85,000 shares was dumped at .004 cents at 11:30 AM, effectively implying a 20% decline in AJC share price. Consideration for the trade was circa $340, demonstrating that the likelihood of any financial justification behind the trade was minimal. This is particularly the case if one looks at AJC’s market depth at this point in time, which indicated that a price of .006 cents would need to be paid to get a reasonable chunk of stock. 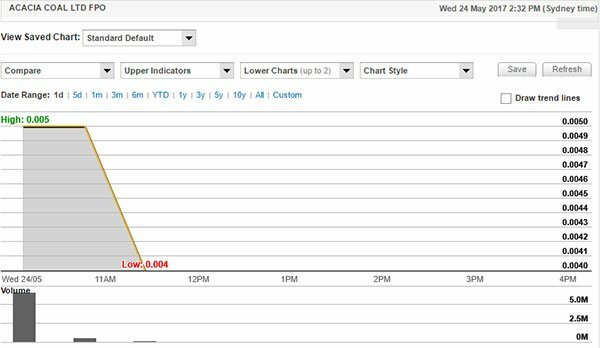 Likewise, as can be seen below, the sale at .004 cents could theoretically have been executed at any stage given the 18.5 million shares on the buy side compared with zero sellers at that price point on the sell side. Unfortunately, the upshot of this scenario can be that investors panic when they look at a 20% share price decline on face value rather than looking more thoroughly at the trading data. This can trigger further negative share price momentum. Depending on how the situation plays out with AJC, a temporary dip could present a buying opportunity for investors looking to enter the stock. At current levels the company is trading well shy of broker valuations with Pieter Bruinstroop from Beer and Co Equity Research valuing the company at 1.5 cents per share. This is supported by the following projections regarding production and cash flows. As indicated previously, the lump anthracite revenues are extrapolated on a price of US$135 per tonne. Bruinstroop has used a price of approximately US$90 per tonne for anthracite fines produced from RAC. This would represent an uncharacteristically low price for fines relative to the hard coking coal price as demonstrated in the first graph. Aside from the recent short-term volatility in 2016/17, the last time hard coking coal traded in the vicinity of US$135 per tonne was around December 2014. At this stage anthracite fines were fetching approximately US$120 per tonne. Furthermore, there has only been a brief period over the last seven years (late 2015/early 2016) where anthracite has traded as low as US$90 per tonne. It is worth noting that at this stage the hard coking coal price was circa US$80 per tonne. Consequently, there appears to be scope for upside in relation to potential revenues from anthracite fines as extrapolated in Bruinstroop’s projections.